Sexual misconduct allegations involving a handful of fashion’s most sought-after photographers have shaken up the industry. As a result, Bruce Weber has been replaced at Louis Vuitton and Patrick Demarchelier was given the boot by Christian Dior for the new campaign season. Now, Mario Testino, who has shot Michael Kors campaigns for 14 years straight, is out for the brand’s mainline Fall 2018 ads. 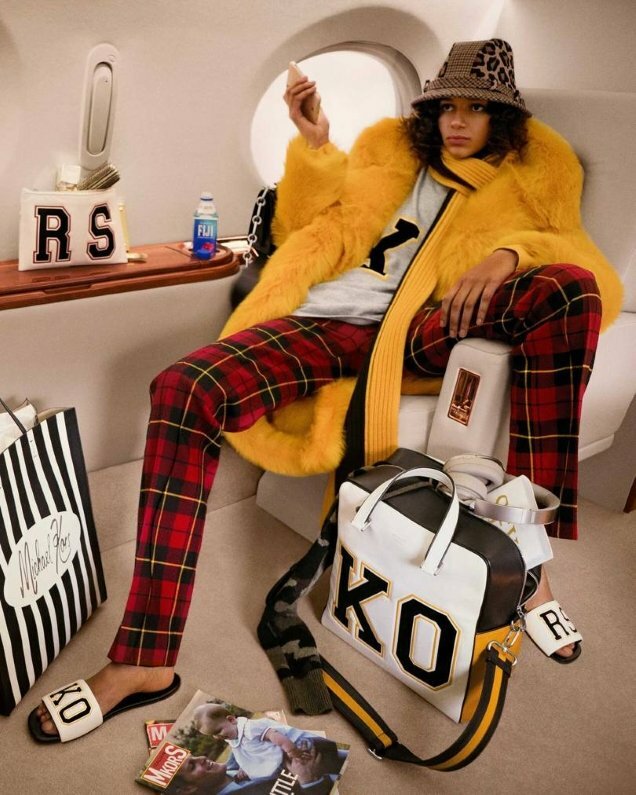 Replacing the Peruvian photographer is Inez van Lamsweerde & Vinoodh Matadin, who stick with Kors’ jet-setting aesthetic, capturing model Binx Walton lounging aboard a private jet in mix and match prints. Were our forum members impressed, you ask? “Could be a Miss Vogue edit for all we know. And by that I mean filler at best. I&V did a terrible job here. Michael Kors functioned on being accessible yet stylish. The only shot here which still fits that mold is Binx in the black dress. He should consult his new team again,” said Benn98 at once. “Kors is trying too hard to be cool. I love Binx but she is too cool for Kors. Tragic campaign for a tragic collection. He should call Fabien Baron,” Lola701 suggested. “I screamed when I saw the thread title, but then I remembered how incredibly ugly and silly the collection was. I’m glad for Binx because she’s literally the best model out there now but the result is lazy,” said helmutnotdead. In agreement was forum member apple. “Nope, I don’t like this and I don’t understand how Binx can be considered a Michael Kors woman. To me the MK woman is Carolyn Murphy, Amber Valletta, Joan Smalls,” she pointed out. “Looks like something America’s Next Top Model would do,” slammed artemovartem. “Wow, I truly did not think this could get any worse. As someone who has grown to like Binx, in my opinion, she easily could have nailed a Michael Kors in the traditional sense. But this? Not working at all. I really think it’s the collection and less of I&V and Binx,” TheoG insisted. Check out more campaign images and join the conversation here.